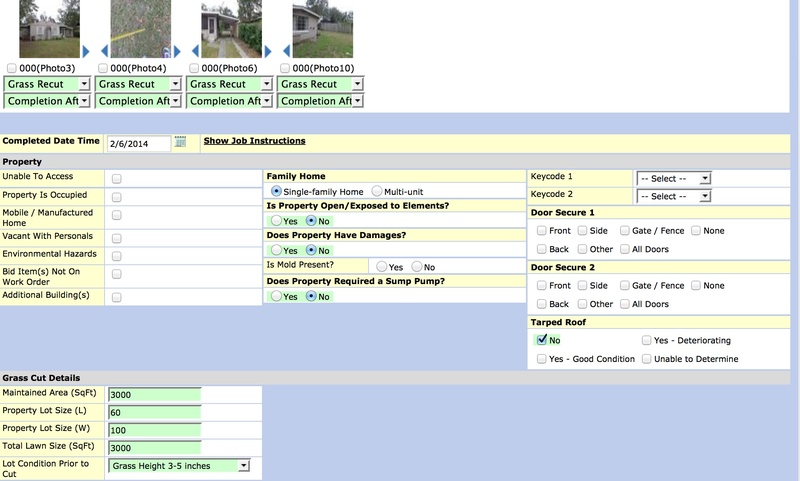 This page shows images or PDFs of sample inspection forms, inspection checklists or property preservation forms. 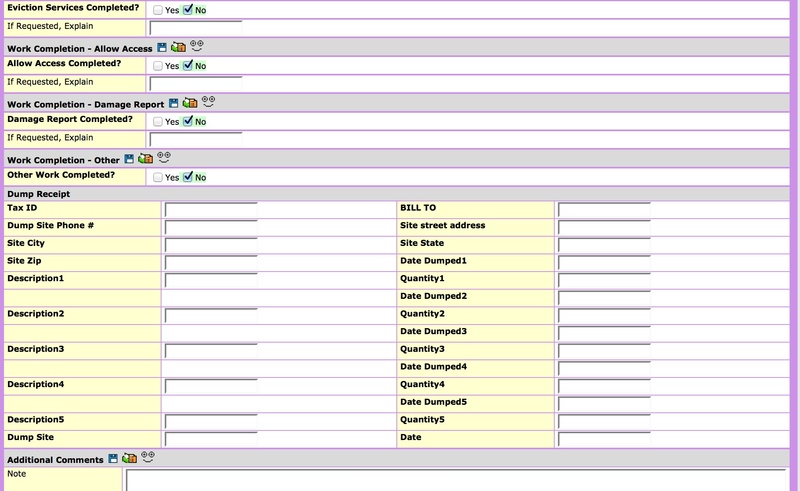 This is only a small sample of all the forms in EZ's library. 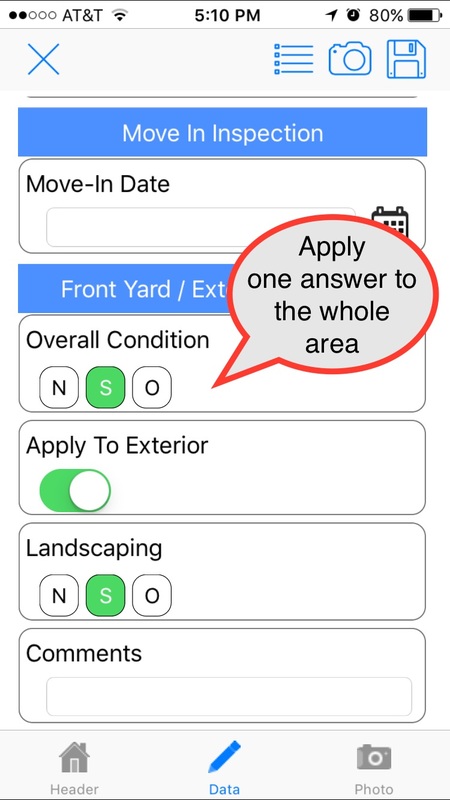 You can create your custom forms in EZ, and download them to mobile devices or fill them out on the web. 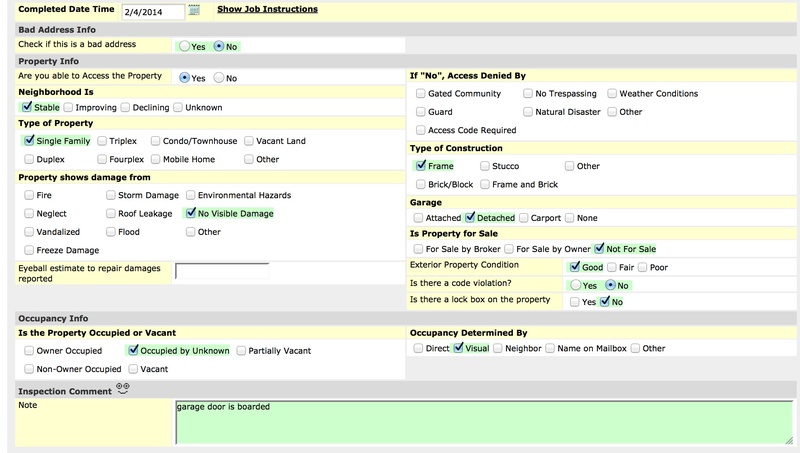 Contact us at 1-866-931-9719 or info@ezinspections.com for more details. 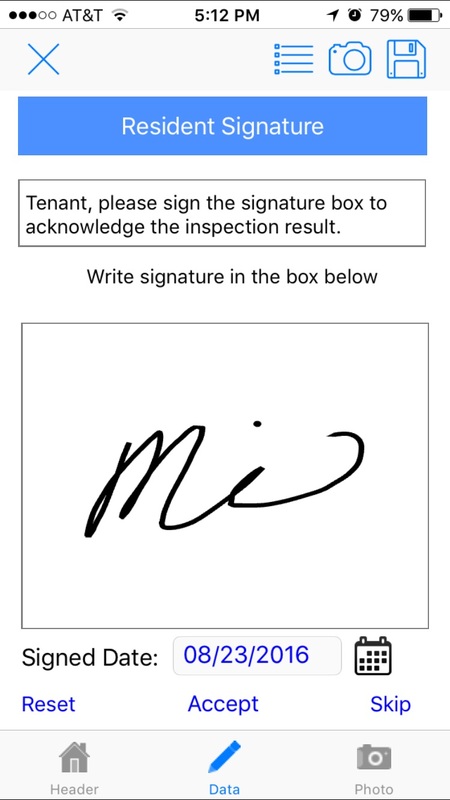 This is the form for move-in move-out inspection. 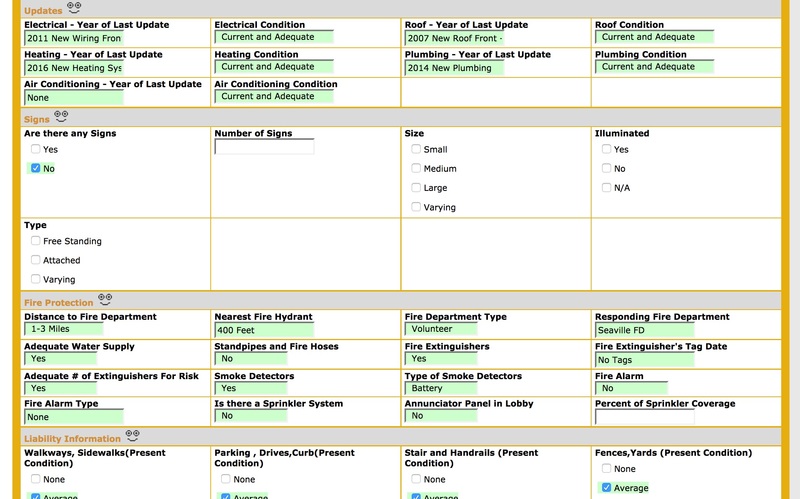 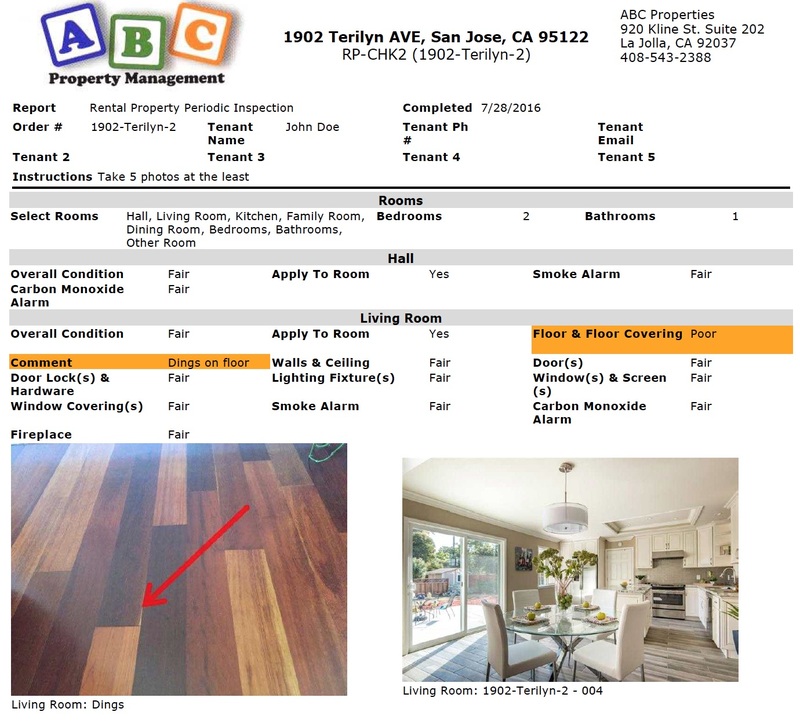 Move-in and move-out information is displayed together on one form and one inspection report. 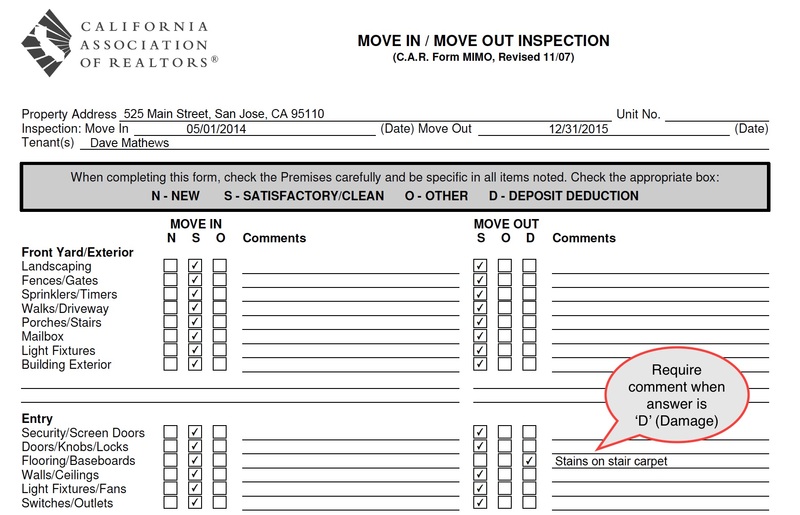 Data from the move-in inspection is prefilled for move-out inspection. 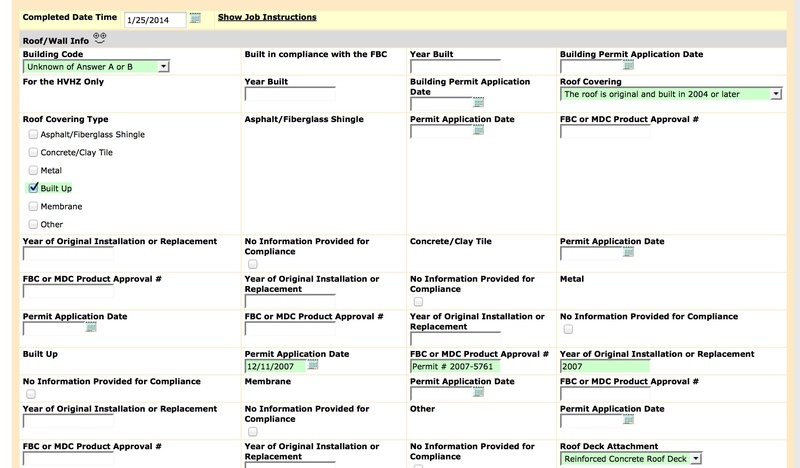 This is the form for periodic property condition inspection. 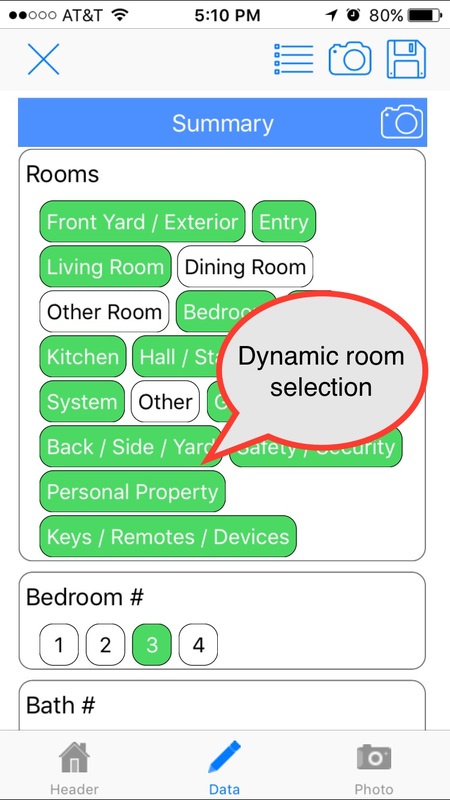 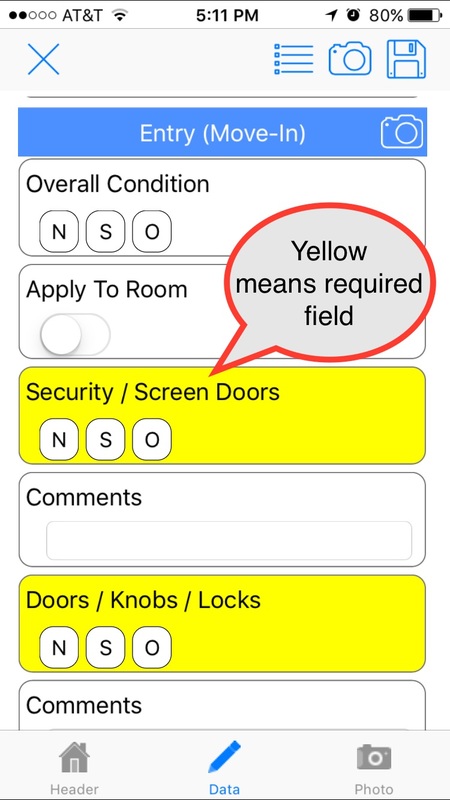 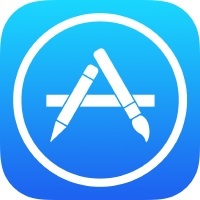 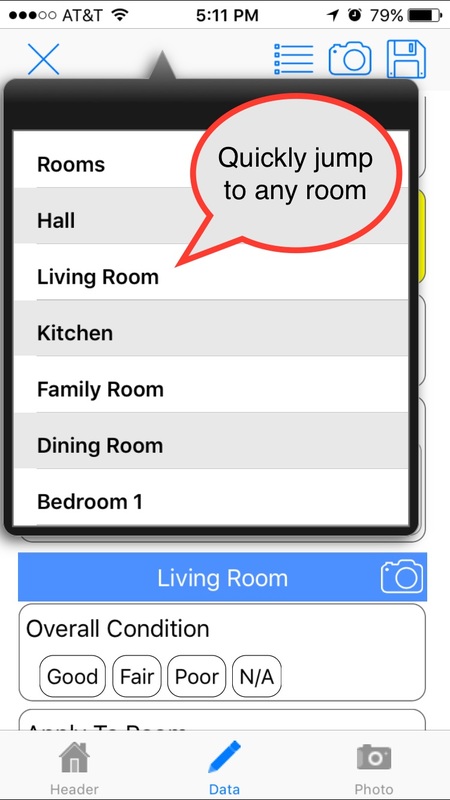 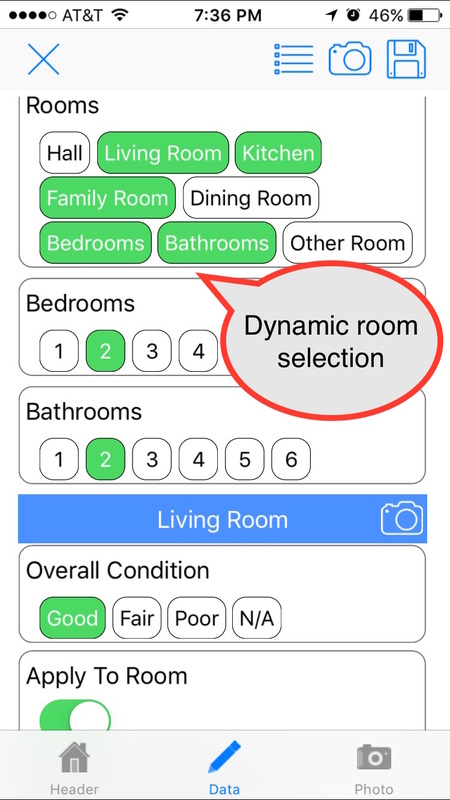 The form features dynamic room selection, apply one answer to all items in a room, quickly jump to any room, require comment when condition is Poor, and collect resident signature. 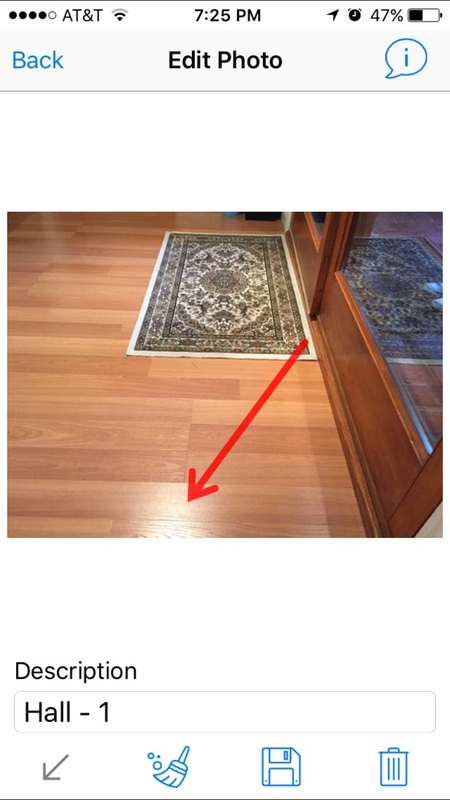 Arrows can be added to photos to highlight damages or problems. 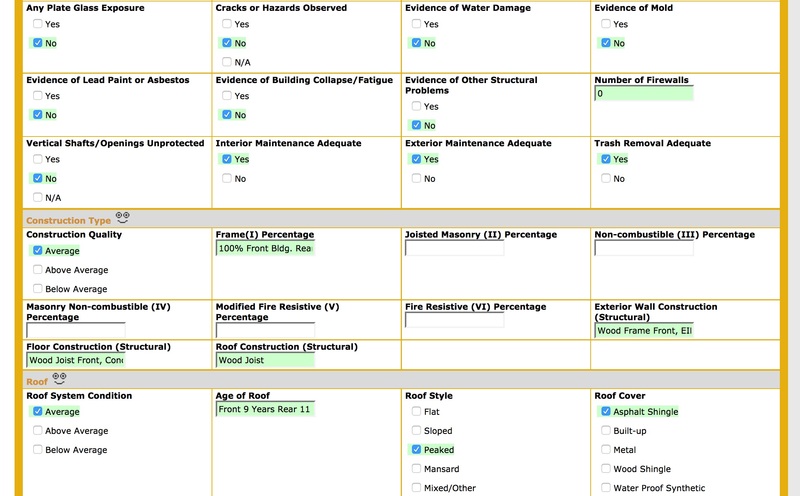 This is Universal Mitigation Verification form (UMV) that is used in Florida wind mitigation inspecitons. 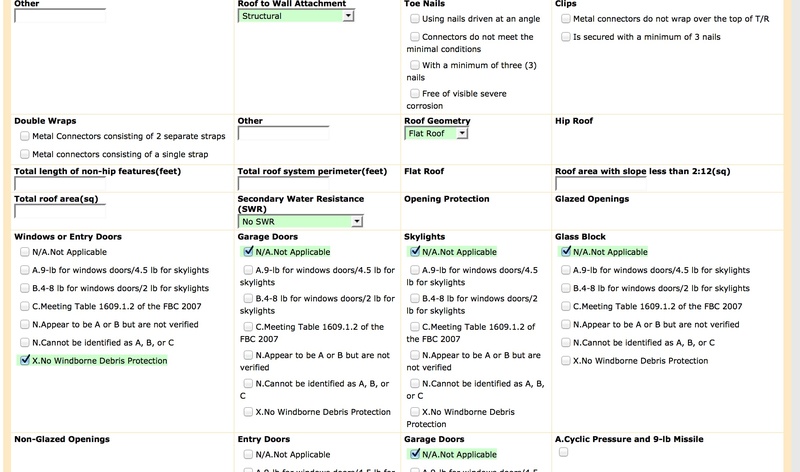 This is Four-point Inspection Form that is used in Florida wind mitigation inspecitons. 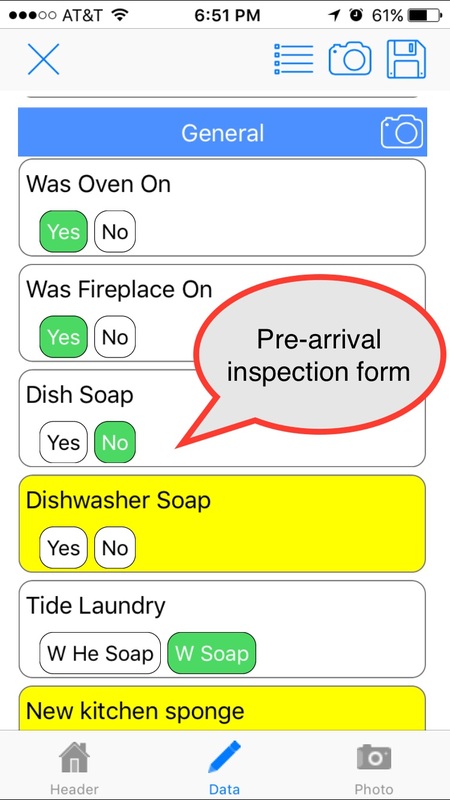 This is the pre-arrival inspection form. 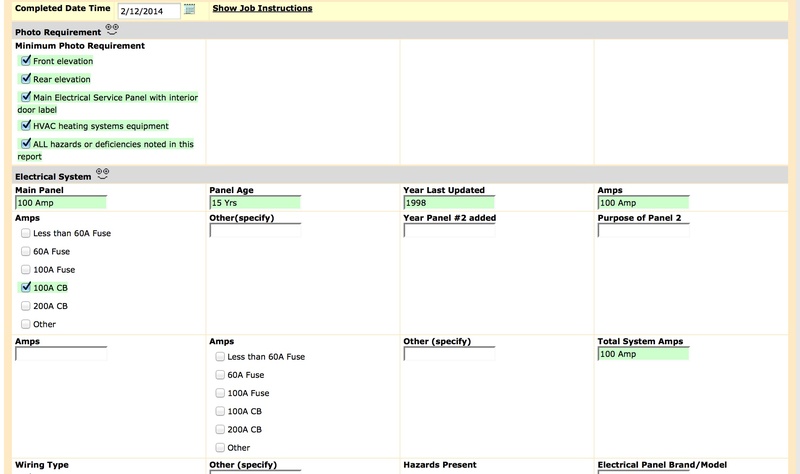 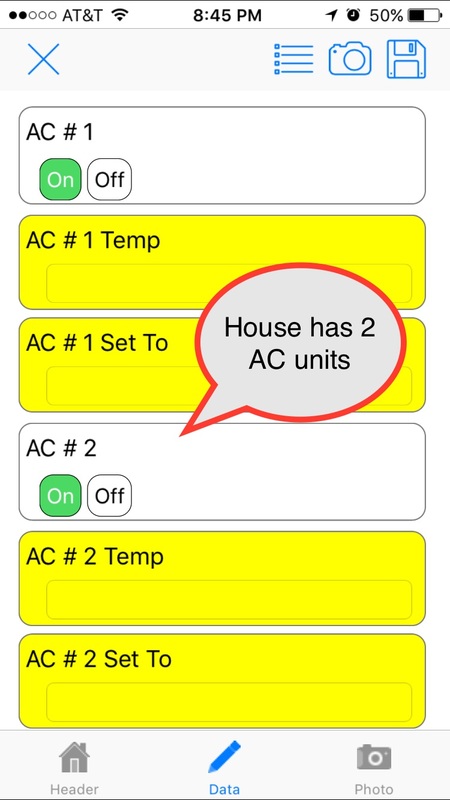 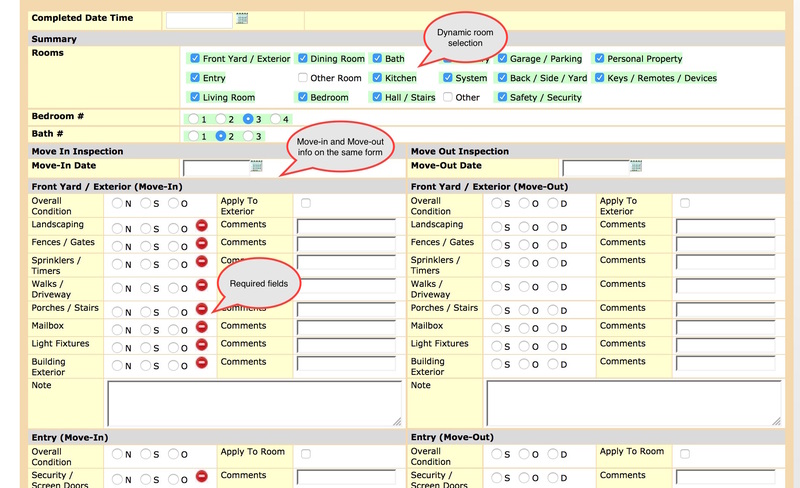 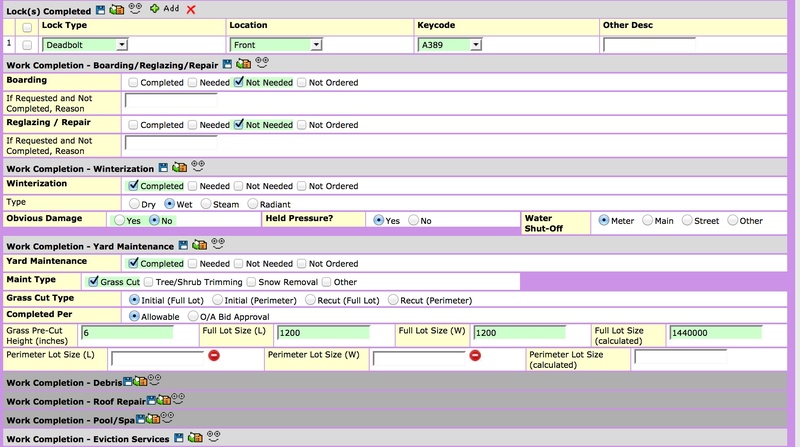 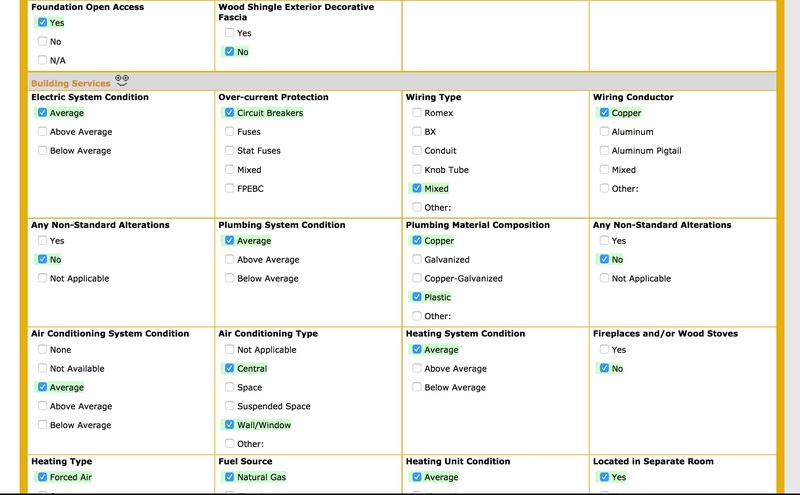 The form is dynamic, e.g., if the home has 2 thermostats, 2 sets of AC questions are displayed. 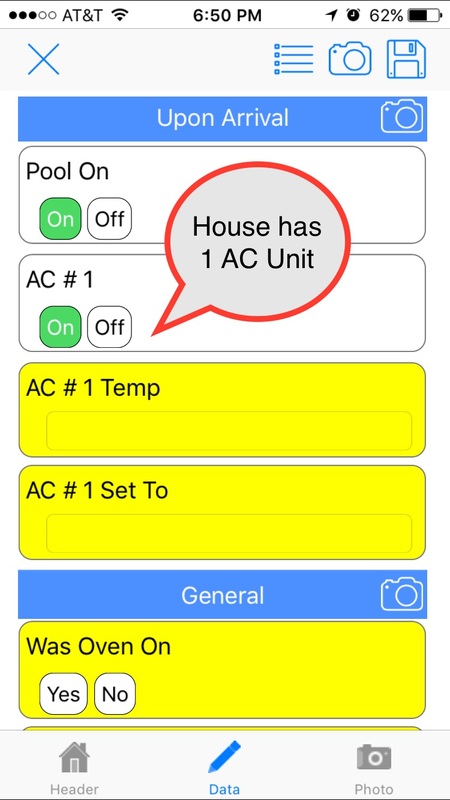 Ditto for 1 or 3 thermostats. 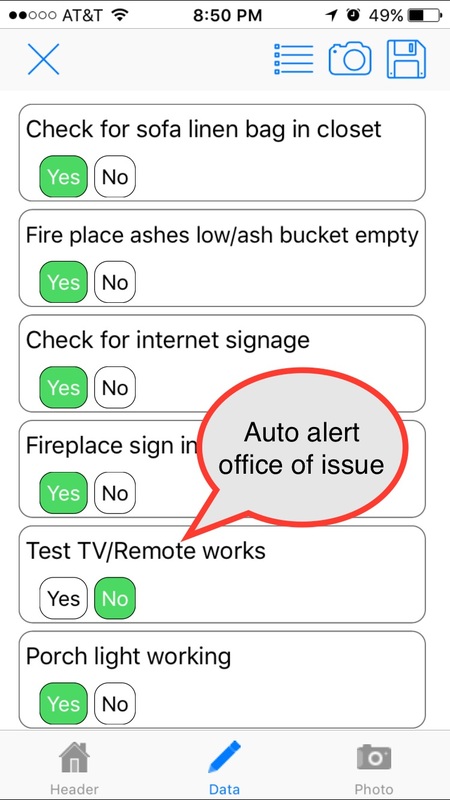 Office alerts can be set up for specific answers, e.g., TV remote is not working. 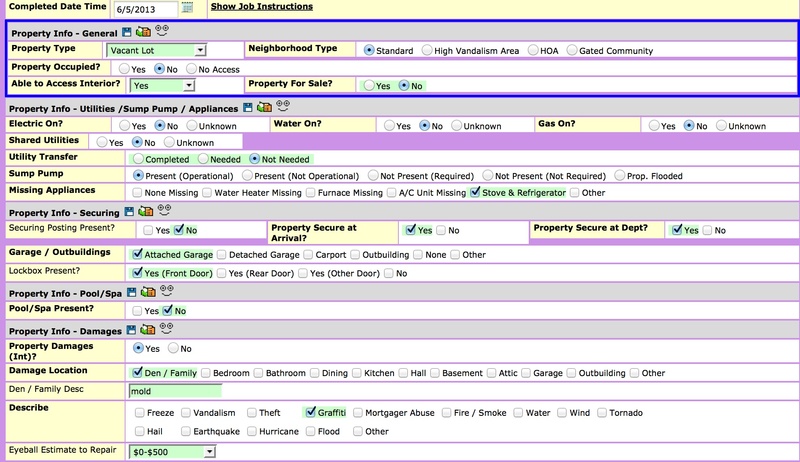 This is the form for checking stock items in the property. 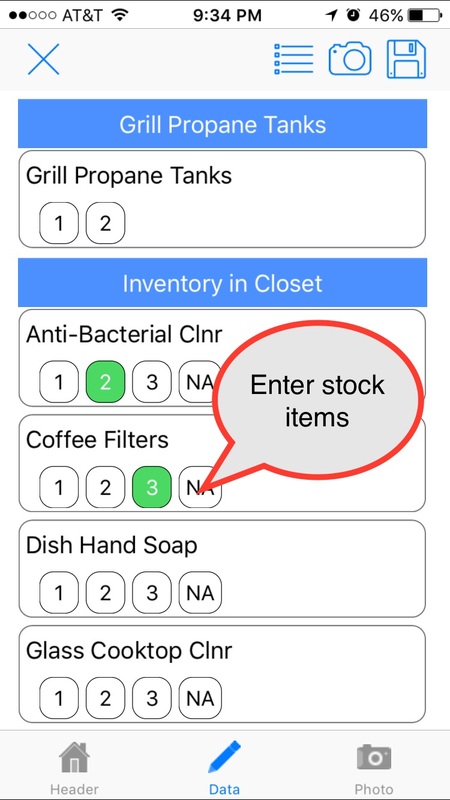 You can add fee to each stock item, e.g. 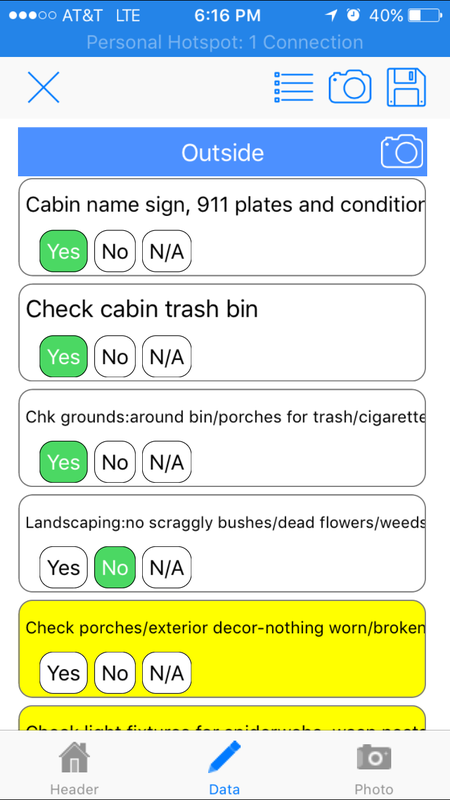 $2.50 for each coffee filter. 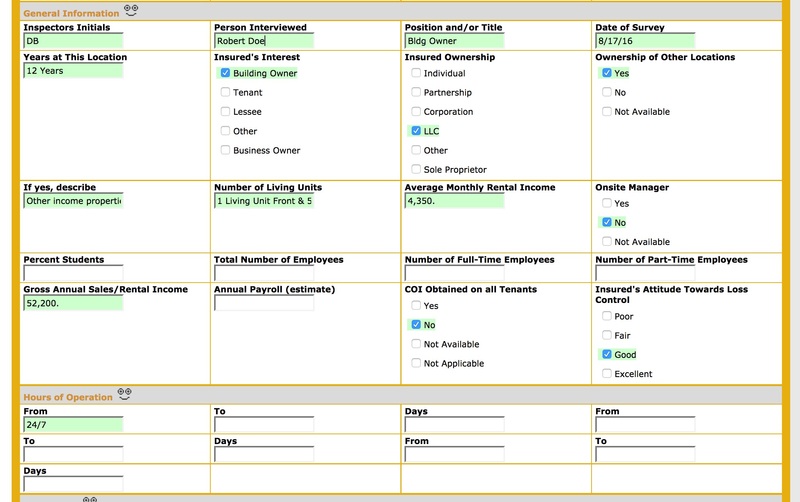 With the fees, monthly stock invoice can be created and sent to the client. 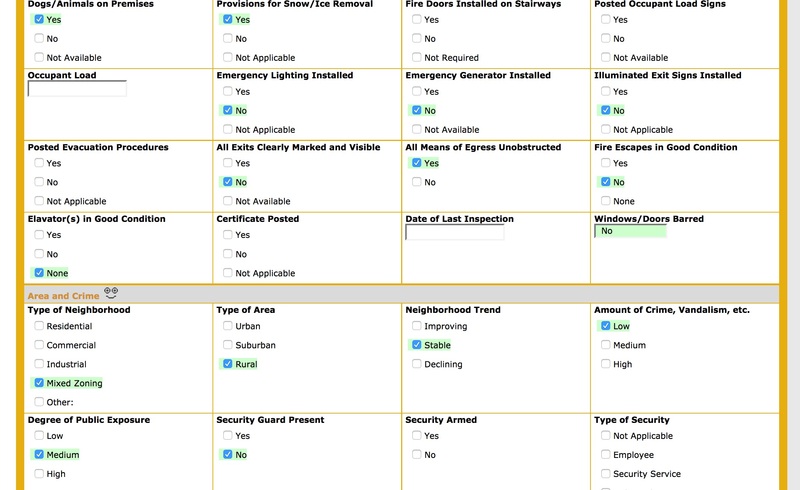 This is the detailed cabin ready inspection form. 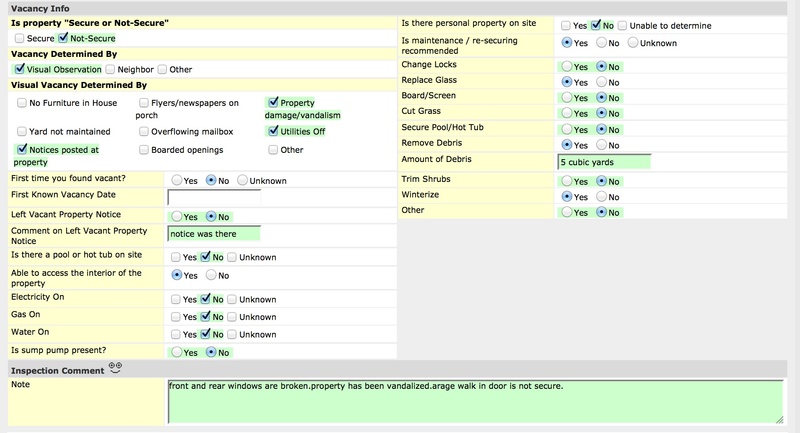 This is a occupancy verification checklist that is used in bank's mortgage inspection. 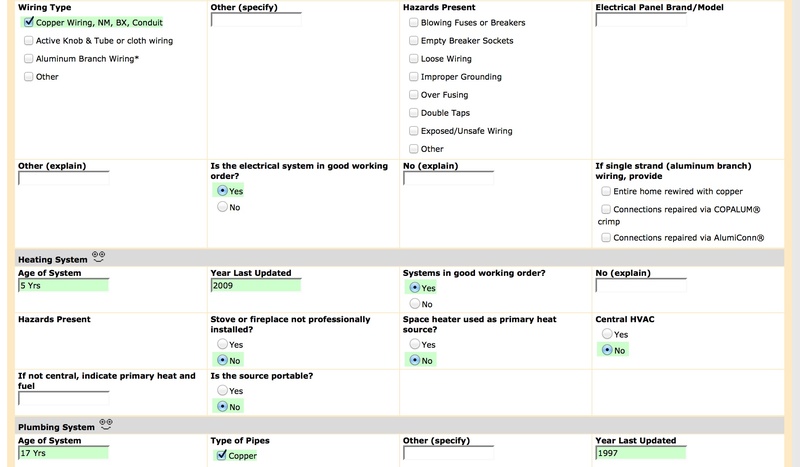 This is a No Contact inspection checklist that is used in bank's mortgage inspection. 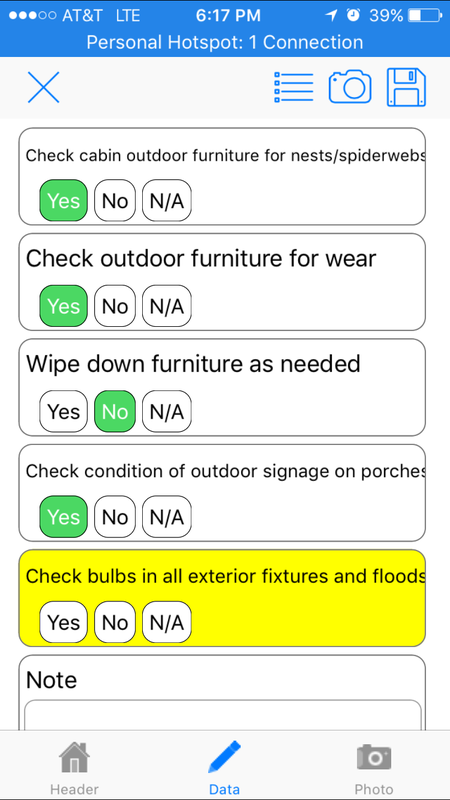 This is an Interior inspection checklist that is used in bank's mortgage inspection. 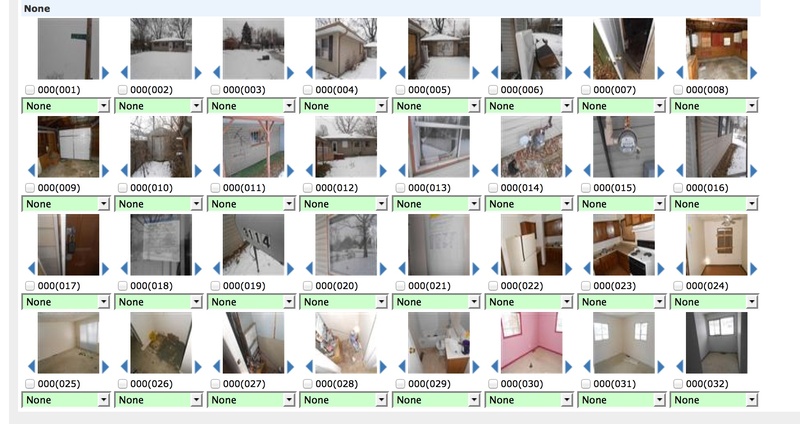 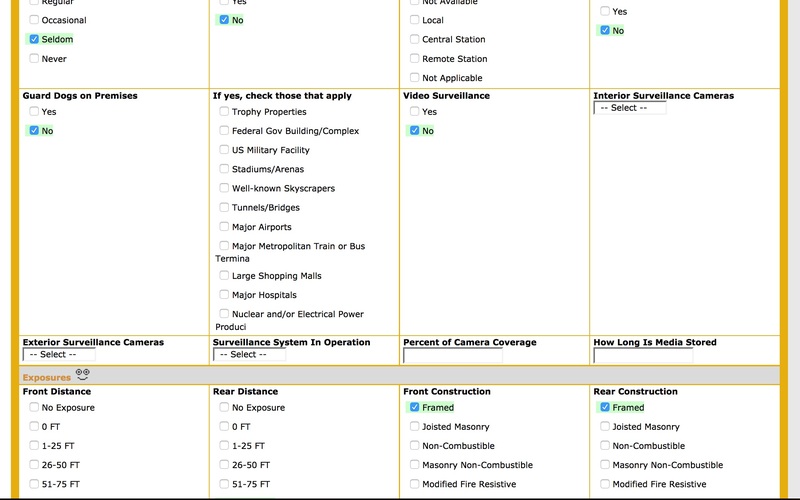 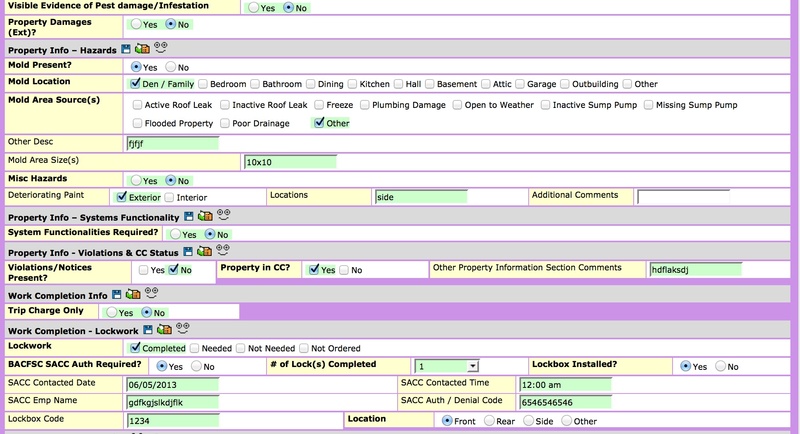 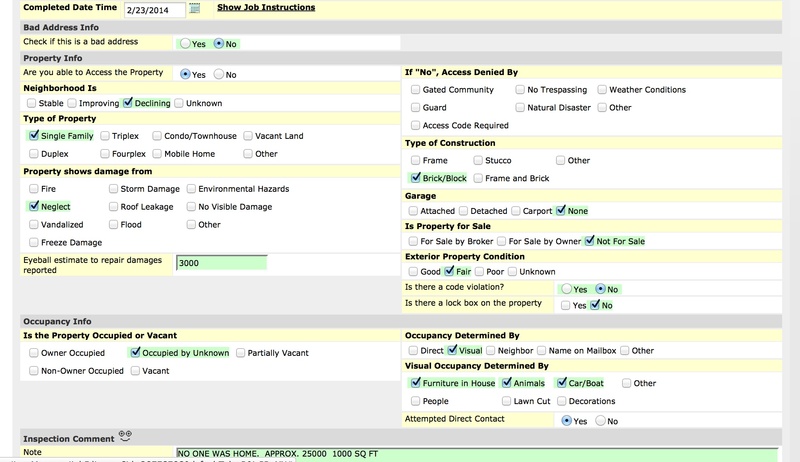 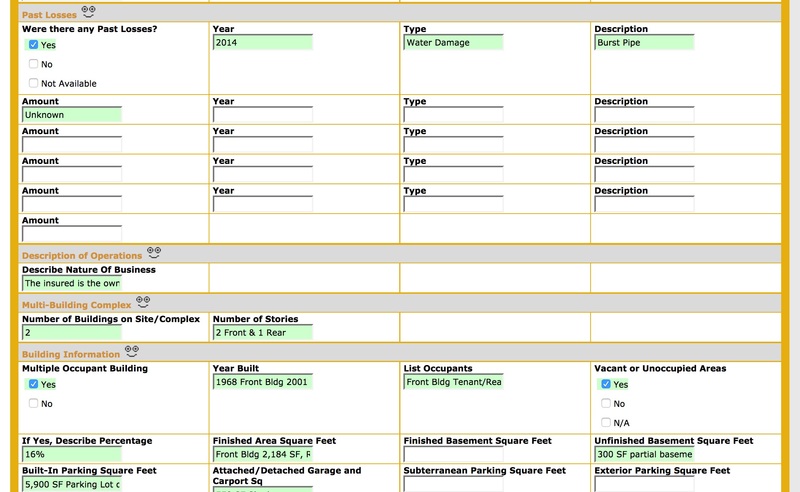 This is a sample property condition report that is used in bank's property preservation jobs. 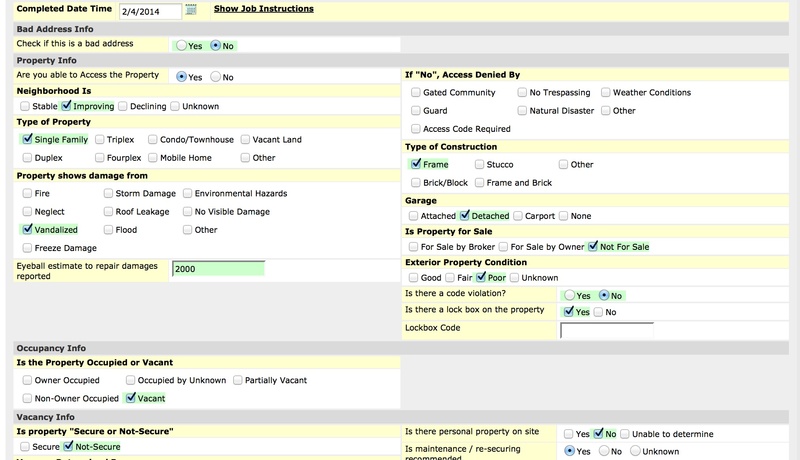 This is a sample grass cut form that is used in bank's property preservation jobs.